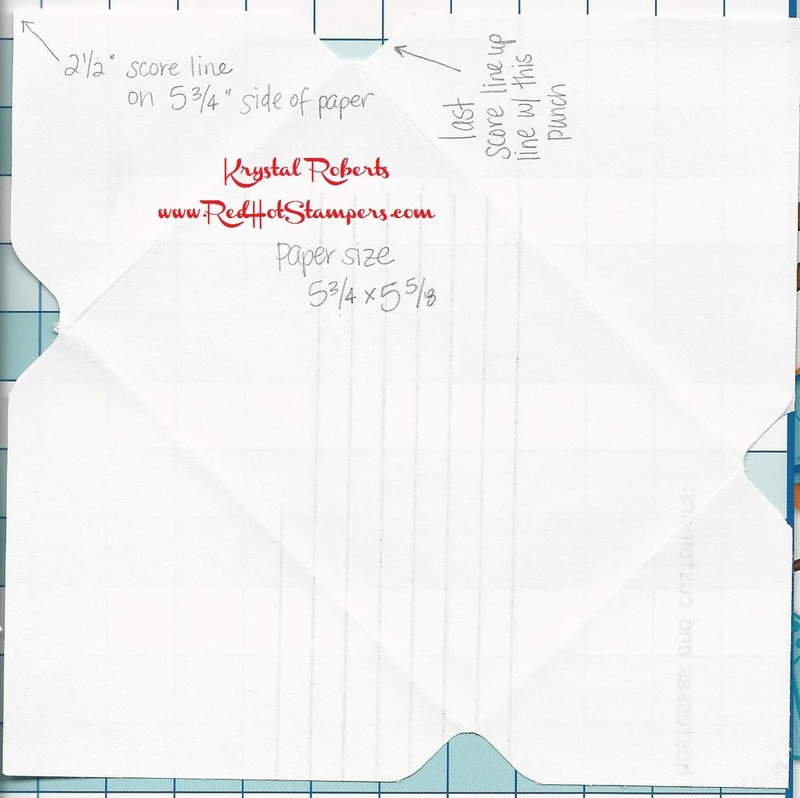 Seriously, what's not to love about Paper Pumpkin? For $19.95 (shipping included) it comes right to your door every month with everything you need for a creative fix! (Well occasionally you might need scissors.) You can make the kit as is, like I did with the January kit "Filled With Love". Or you can change it up a little. Or a LOT. 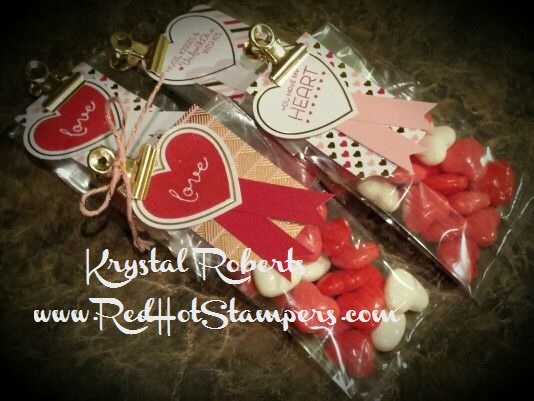 Like I did with the February Kit "Layers of Gratitude". Completely unrecognizable. I wasn't loving the orange felt letters, but I was loving the little box to put the card in! I just thought it was calling out for a little notecard love. 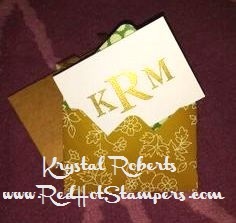 And who doesn't love a gold embossed monogrammed notecard set? That's what I'M sayin. So I began by cutting each accordian card into 4 separate cards. Stamped with versamark, embossed with gold, voilà. Then came the tricky part. I needed 4 matching envelopes. Love the Gold Soirée DSP! Again, GOLD. Completely Obsessed. Of course I pulled out my awesome envelope punch board! (If you don't have one, GET ONE!) Of course the measurements I needed are very exact and the closest thing was either too small for the card or too big for the envelope. So, I googled and Pinterest searched and came up with nothing. And then.... I made my own. 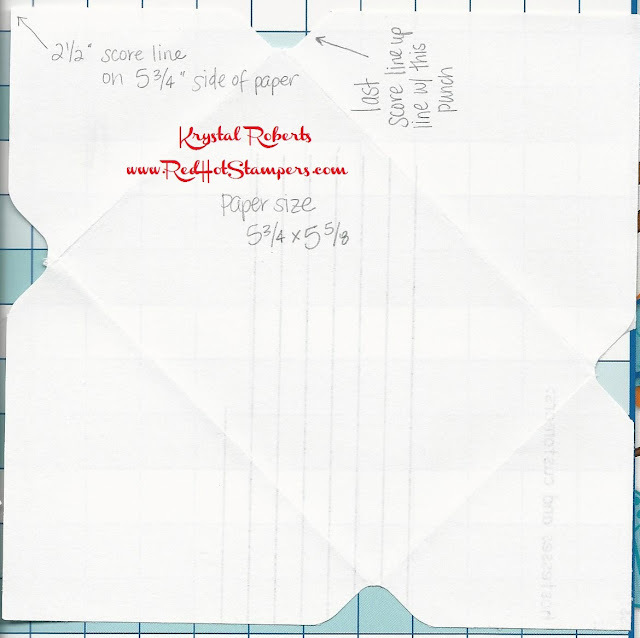 So here's my template for your Paper Pumpkin pleasure. You're welcome.